With the Red Wings entering the All-Star break, they have sent one of their young blueliners down to Grand Rapids to keep him competing. Filip Hronek is on his way to the Griffins, likely to squeeze in a few games at the AHL level over the next week. Grand Rapids is in Manitoba tonight for a game against the Moose, then they play a pair of home games against the San Jose Barracuda Friday and Saturday. Hronek has appeared in 23 NHL games this season, registering 10 points in the process. 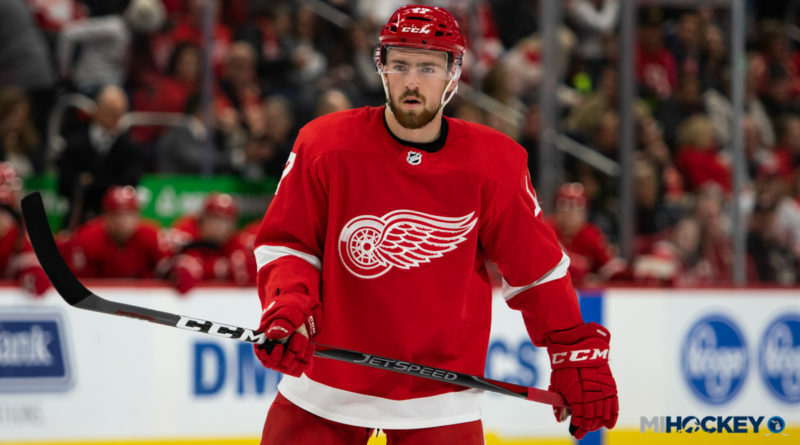 It’s his first season with the Wings after he spent the 2017-18 campaign with Grand Rapids. A second-round pick of the Wings in 2016, Hronek spent one season with the Saginaw Spirit before making the jump to the AHL.